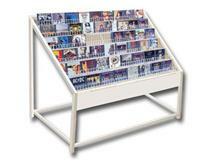 Topped with a plastic slotted sign holder, this rack can turn the counter by your cash register into an impulse buy opportunity. 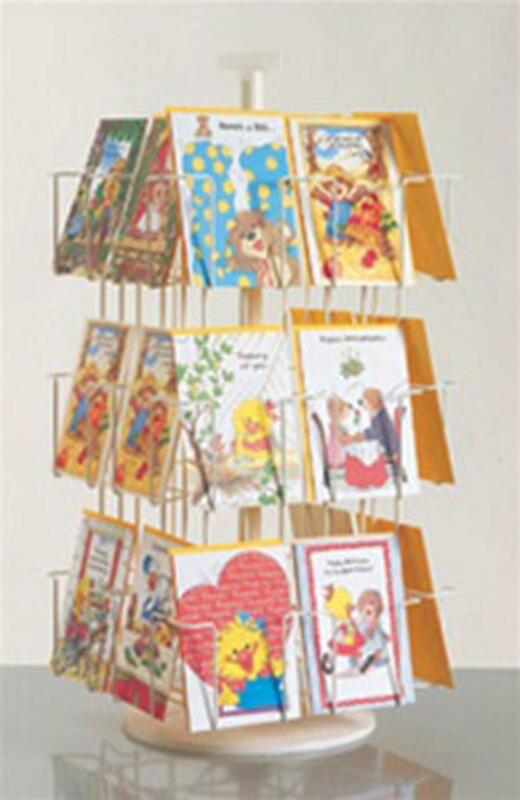 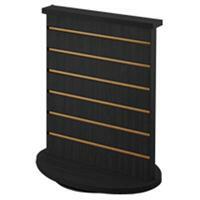 Load up to 24 pockets with greeting cards in 5 3/8 inch wide slots and put this revolving rack to work. 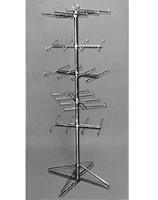 Measures 28 inches high. 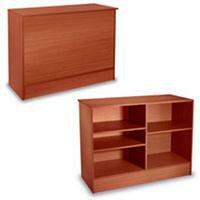 White wire construction gives a clean appearance.